Defence Turkey: Mr. ÖZTÜRK, first of all thank you for your time for this interview. As a company, BMC is one of the leading companies in the land vehicles sector. Could you please inform us about the partnership and management structure of BMC Company? Taha Yasin ÖZTÜRK: 25.1% of our company’s shares belong to the ÖZTÜRK Family, 25% to Ethem SANCAK, and the remaining 49.9% belongs to the Qatar Armed Forces. Therefore, we can say that 51% of the shares are in the hands of the Turkish citizens. We have a Board of Management including 10 people, 5 of which are Turkish and the remaining 5 are Qatari members. We have a top management structure consisting of 4 people in which I am also involved. I represent the ÖZTÜRK family. Bülent DENKDEMIR represents Ethem SANCAK. The other two are Qatari members; but these colleagues are not involved as much as we are in the day-to-day operation of the company. They usually attend board meetings or executive board meetings held every month. We are a company that conducts its operations transparently, so we can express that they have full confidence in us. Defence Turkey: How was the year 2017 in terms of domestic and overseas sales as BMC? What is your projection for the closure of 2018? For instance, your consolidated budget in 2018? Taha Yasin ÖZTÜRK: Our number of employees has now reached nearly two thousand and seven hundred. The number of our white-collar employees is nearly one thousand, and approximately five hundred of these employees are R&D engineers. BMC aims to complete this year as a large family of 2,900 people, and for 2018 our total turnover target is over US$ 1,2 Billion. Since August 2014, the point at which we took over the company, we have been growing 100% every year. At the end of this year, we expect to grow by around 200%. As of 2023, Ethem SANCAK has a promise to be a family of 10,000 employees. When we took over BMC, its turnover was zero; we were able to close that year with a turnover of 50 million TL. This figure was over 350 million TL in 2015. Furthermore, in 2016 we reached 800 million TL. At the end of 2017, we gained significant momentum with over 1.6 billion TL in turnover. When we started the business, we had only 1 vehicle in the defense industry; today, we have nearly 10 different solutions. We are developing new solutions with each passing day. Defence Turkey: Mr. ÖZTÜRK, what kind of road map do you have regarding the share of your foreign sales in your total turnover for the upcoming period? Taha Yasin ÖZTÜRK: We aim to achieve 20% of our total turnover from exports according to our 2018 target. For 2019, we have set this target as 30%. In 2023, we aim to achieve 60% of our total turnover from export revenues. Defence Turkey: What would you like to say about the balance of this year’s military and civilian sales? Taha Yasin ÖZTÜRK: At the moment there is a 50/50 balance, however we anticipate that our commercial sales will become even more prominent next year. Accordingly, we believe that the commercial vehicle market will grow even larger. So, in 2019 we anticipate that this balance will also change on our side. Defence Turkey: Mr. ÖZTÜRK, what is BMC’s target for the year 2023 in terms of the number of employees and turnover? Where do you plan to position BMC in within a ten-year period? Taha Yasin ÖZTÜRK: We aim to employ 10 thousand people in 2023. With our domestic and foreign sales figures, we will strive to reach a total turnover of $15 billion in 2023. Defence Turkey: Which fields do you plan to initiate programs apart from the Wheeled and Tracked Land Vehicles? Taha Yasin ÖZTÜRK: We have many different targets and plans in this context. To put it more explicitly, we do not plan to stay solely in the land vehicles field. We also have different projects on our agenda. Defence Turkey: At BMC Power, you have started developing a 700-horsepower power pack within the scope of the New Generation Light Armored Vehicle Power Pack development program. What would you like to say about the investments made toward facilities and human resources as well as the latest status of the activities performed in this regard? 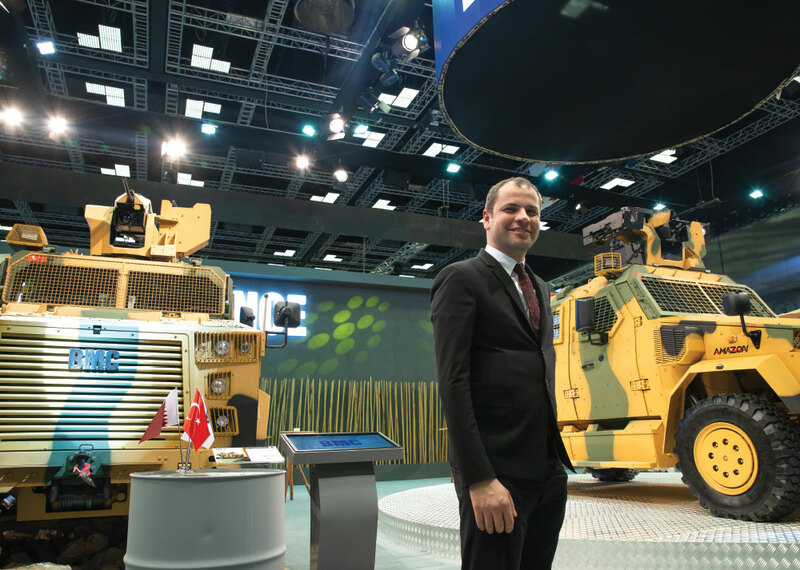 Taha Yasin ÖZTÜRK: Activities for the development of a 700-horsepower power pack within the scope of the New Generation Light Armored Vehicle Power Pack development program have already been initiated. Furthermore, we have produced the prototype. 80 engineers are now working on the development of the prototype and the serial production phase of it. We continue to enlarge our team responsible for the project. Upon the completion of a 24-month time frame which we have committed, a series of initial prototypes will be revealed, and the tests will start immediately. At the end of 36 months, we will start the first mass production. Defence Turkey: You have signed an agreement with the Qatar Armed Forces for the supply of 50 “KIRPI-II” and 35 “AMAZON” armored vehicles during the DIMDEX Fair in Qatar held on March 12-14. BMC also has a Qatari partner. Could you please briefly tell us about this sale and the deal process? Taha Yasin ÖZTÜRK: As I mentioned before, 49% shares of our company belong to our Qatari partner. The Qatar Armed Forces requested to test every vehicle we have supplied to our Turkish Armed Forces. First of all, we dispatched our KIRPI-I armored vehicle. In the next stage, they were highly interested in our “AMAZON” because it is more suitable for desert conditions. “AMAZON” successfully completed these tests. We are subject to similar tests as those of our competitors. Therefore, the Qatar Armed Forces requested to test our KIRPI-II armored vehicles that we supplied to the Turkish Armed Forces, and these were also tested. As a result of the successful tests, contract negotiations for two armored vehicles accelerated. We signed the agreements you mentioned during the DIMDEX Fair after having received the final approval for the sale. Fortunately, we can say that at the end of a three-year period we took over BMC, and we made sales to Qatar. We worked a lot, and we got good results and we sold our first platforms to Qatar. Defence Turkey: Your project with the Presidency of Defense Industries for the Tactical Wheeled Armored Vehicles (TTA-2) project is highly important. What would you like to share about the activities being conducted in this regard? How many armored vehicles will be delivered within the scope of the program? Could you please inform us on the vehicle configurations to be delivered? Taha Yasin ÖZTÜRK: We anticipate that there will not be any kind of a delay in our schedule; at the end of this year, we aim to deliver the first 600 vehicles. In this context, we have made a significant investment for our factory in Izmir. The capacity of this facility, serving the defense industry, reached nearly 1,800 vehicles. We invested US$20 million specifically in the division related to defense products and approximately US$150 million for the entire factory. 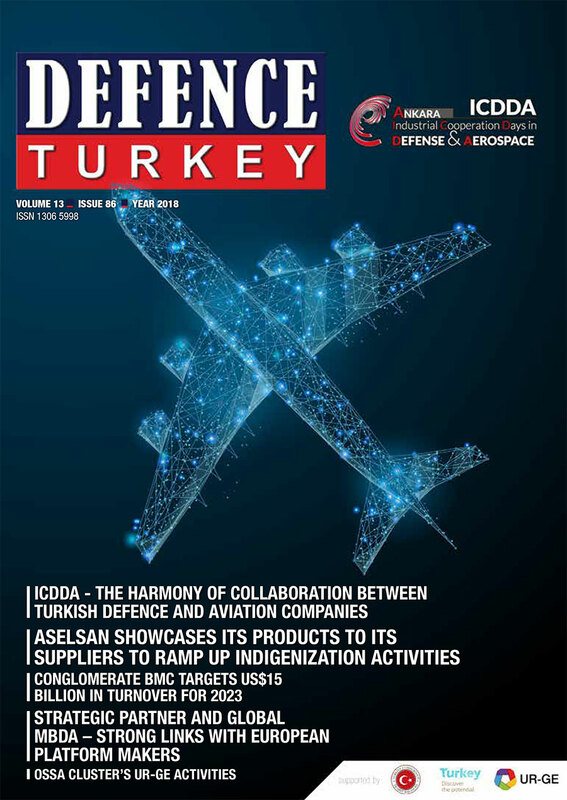 Defence Turkey: Are there acquisition plans in Turkey and abroad as a part of BMC’s organic growth strategy in the upcoming period? Taha Yasin ÖZTÜRK: We plan to make acquisitions abroad; our negotiations continue in this regard. As BMC, we would like to be the first brand that comes to mind when “land vehicles” are mentioned in Turkey. Defence Turkey: We observe that BMC has been making significant investments in unmanned full and semi-autonomous systems. What would you like to say about the investments you have been making in this area? Taha Yasin ÖZTÜRK: As BMC, we are investing in autonomous systems. We have transferred BMW’s R&D Director in China to our company. He was fully responsible for the autonomous systems at BMW, also he was amongst the executives who realized the electric car. He will focus on such projects. On the other hand, our efforts in this field continue with the Istanbul Technical University and Ege University. We also have a company called Asis Electronic and we are conducting activities regarding these systems with Asis Electronic. In short, regarding human resources investments that we have made in this area, we have nearly 500 engineers working on autonomous systems. Defence Turkey: Mr. Öztürk, do you have any messages that you would like to convey to our readers? Taha Yasin ÖZTÜRK: So far, we have been a company that discusses what it can achieve, and we stand behind our achievements. We are progressing with this motto as we quickly approach 4 years, making our mark with perseverance and competence.